Kathy Duva, promoter for former light heavyweight champion Sergey Kovalev, believes her boxer's issues with stamina is now a thing of the past. Kovalev (32-3-1, 28 KOs) was at one-time regarded as one of the most feared fighters in the sport. But in recent years, Kovalev has lost three of his last five fights - and two of those defeats have been by knockout. 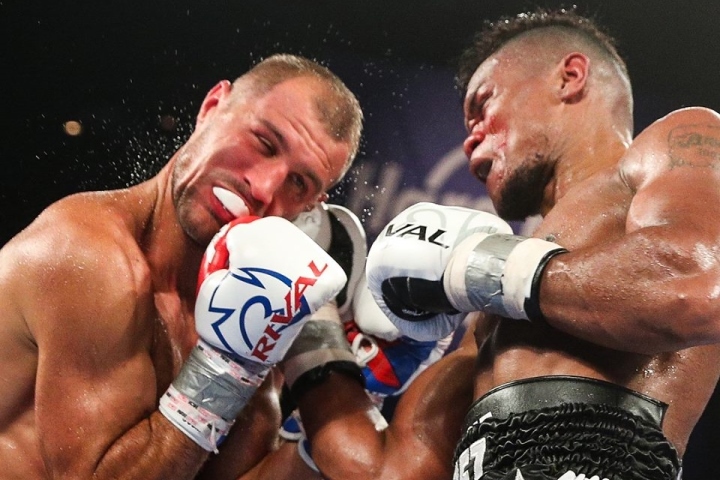 Bacon August 4th, Kovalev was knocked out in seven rounds by Eleider Alvarez, who in victory captured the WBO light heavyweight crown. A rematch is scheduled to take place in February. To prepare himself, Kovalev has put together a new team - led by new trainer Buddy McGirt. "After the fifth round [with Alvarez], I looked at Sergey's manager, Egis Klimas, and a sign was made that everything was fine," Kathy Duva said in an interview with the Journal de Montréal. "However, I wondered how he was going to keep up his pace that was very high. I got my answer in the following rounds." She saw Kovalev's stamina decline in that contest - and also in his two defeats at the hands of Andre Ward. "In each of these two fights, Sergey dominated before experiencing a sharp drop in energy in the second half. It was the same against Alvarez," Duva said. "I asked questions of his entourage and I understood several things. Sergey was training and fighting like a 25 year old guy when he was 35 years old. It did not work. As far as I knew, Sergey thought he was not training hard enough when he did not meet his usual standards. He did not understand that he had to train less and smarter when you get older. The rest periods are even more important. When his coaches told him to take a break, he wanted to do more. "I think he picked the right people [for his team] and if he listens to them, his chances of success are very good. Sergey reminds me a lot of Evander Holyfield who did not listen to his entourage either. Holyfield believed so much in his abilities that he did not think he needed anyone. Sergey has a bit of the same attitude. Sometimes this overdose of self-confidence can become a defect." Luke Furman covers boxing for bokser.org.